GS Yuasa Corp on Friday revealed plans to boost lithium ion battery output for Honda Motor Co.'s hybrid vehicles threefold to 15 million cells around the fall. The production hike will be achieved by expanding and strengthening facilities at a Kyoto plant of Blue Energy Co., a joint venture with Honda, at a total cost of about 10 billion yen. The plant currently produces 5 million cells a year for the Civic Hybrid sold in North America. Its output capacity will be increased to also supply batteries for a plug-in hybrid that Honda plans to launch in Japan and the U.S. later this year. The capacity hike will give the plant the ability to supply enough lithium ion batteries for 200,000 to 300,000 hybrids and plug-in hybrids a year. 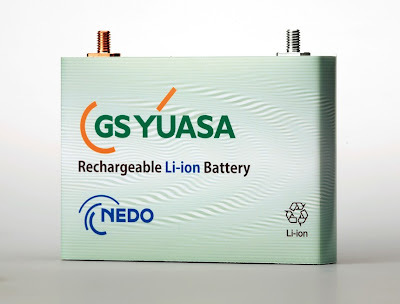 GS Yuasa is also working toward lifting production of lithium ion batteries for Mitsubishi Motors Corp.'s i-MiEV electric vehicle together with the automaker and Mitsubishi Corp. The effort is expected to lift annual output capacity to 12.5 million cells, enough to power roughly 150,000 i-MiEVs, in fiscal 2013. 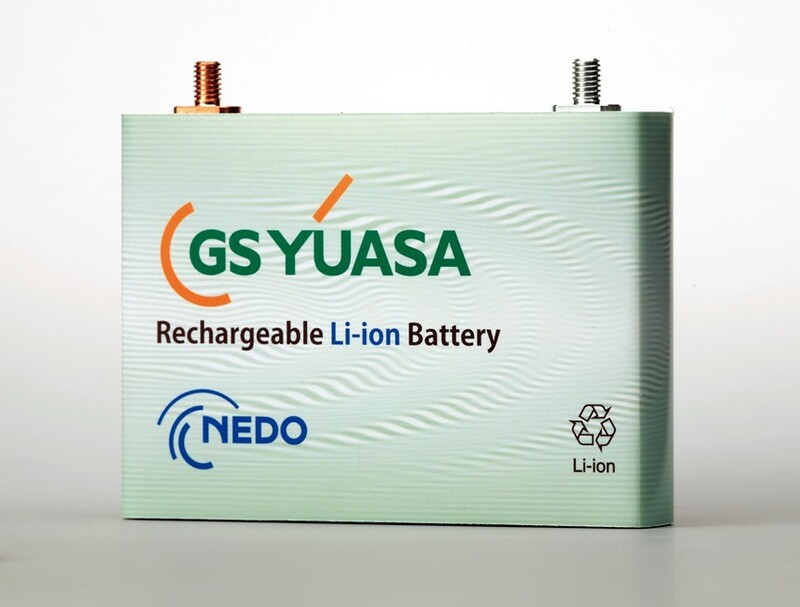 Due to the heavy upfront investment, GS Yuasa's automobile lithium ion battery business has been racking up losses. But the company aims to turn a profit in fiscal 2013 by boosting output.